There is a broad consensus on the important contribution of the construction industry to the GDP in Colombia. Despite a stalemate in the previous years, apparently, a more promising future is next to come. The key factors contributing to the dynamism of the sector are mainly the relevant investment in the transport infrastructure, the strong recovery in the residential and non-residential activities and the incentive policies for the purchase of a property. According to the same report by Fitch Solutions in the next 10 years, growth will continue steadily ( 4.8% per annum) and will be mainly supported by the continuous investments in the infrastructure. In the transport sector, there are numerous initiatives which are guaranteeing regional development. For example, in the latest edition of the Economic Forum for the building industry, the governor of Antioquia, Luis Pérez Gutiérrez announced the progress of public works at Antioquia during his administration: the works for the Eastern Tunnel will finish by December 2018. The building project for the Tokyo Tunnel, which connects Medellin with the Antioquia Urabá, has received an investment amounting to 1.3 billion pesos. Another particularly relevant project in the same sector is that of the Antioquia-Bolivar highway. President Juan Manuel Santos has confirmed that the National Council for Economic and Social Policy (Conpes) has approved program concessions equal to 350 billion pesos. The highway will reduce travel times to the Atlantic coast by approximately 4 hours, without considering the huge benefits of the tourism and trade sectors. According to the statistics of the Government of Colombia (DANE), the national production showed a growth of 1.8% in 2017, a fairly low index when compared with the past years. The construction sector, which has consolidated as one of the sectors with a great dynamism, has suffered the effects of the oil crisis, the cost of credit and the decline of the consumer confidence. However, the executive president of Camacol, Sandra Forero Ramírez, considers that “thanks to the recovery of consumer confidence and to the increased willingness to buy housing, the second half of this year should show signs of reactivation of the main indicators of the construction activity and of the new real estate market. However, the new reality of the industry, characterized by wider business and construction cycles, will show the results of a real recovery with greater strength only during 2019“. Camacol – the Colombian Chamber of Construction – also presented its proposal to the incoming government. The primary objective of the document is to guarantee access to housing through initiatives that seek to facilitate the coverage of interest rates in addition to the subsidy for the initial payment. In the field of social housing (Vivienda de Interese Social), the aim is to promote distinct financing policies, the generation of incentives for savings and leasing as a tool for those economically most threatened segments. With these proposals and with the new government, the recovery expectations of the sector are even more positive. Especially considering the possibility of generating coordinated strategies with the regional authorities, to promote the construction of quality cities. In the Colombian Construction Congress, Columbia University’s director of Global Leaders in Construction Management, Ibrahim Odeh, presented his vision for the future of the industry. The emphasis has been placed on the contribution of new technologies. In a scenario where building projects are becoming increasingly complex, there is no longer room for conservative and unresponsive attitudes. Rather, it is necessary to focus on technological innovation and on young talents. 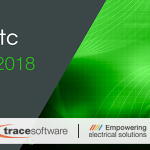 Trace Software International will participate in ExpoCAMACOL. 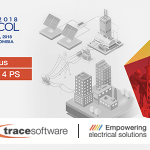 Between August 22th and 25th, the protagonists of the value chain of the construction sector will meet in Medellín in the most important commercial sample of the year for the sector, with the purpose of promoting high-level business and boost the competitiveness of all the value chain. Discover the software solutions of the firm which are making a difference in the construction industry of Colombia.